Warner Bros. has released a new clip from Suicide Squad: Hell to Pay. The animated DC feature recently hit digital platforms and is set to make its way to shelves in 4K, as well as Blu-ray and DVD on April 10. In honor of the upcoming release, the studio has dropped a new clip, featuring the gang of bad guys getting acquainted with an old school ride they're taking on this new adventure. Harley Quinn is quite excited about it. In the clip, we see the Suicide Squad, led by Deadshot, who is voiced by Christian Slater, checking out an RV that Amanda Waller has secured for them. While the majority of the team is pretty unimpressed, Harley Quinn, voiced by Tara Strong, is extremely happy with the situation. She's even more excited when she realizes they have both chicken nuggets and corn dogs on board. In addition to setting up how the team will be getting around in Hell to Pay, this also does a nice job of laying out the group dynamic in a short period of time. In Suicide Squad: Hell to Pay, the ever-shady Amanda Waller sends her top secret "Task Force X on a mission to retrieve a mystical object so powerful that they're willing to risk their own lives to steal it." The team this time around consists of Deadshot, Bronze Tiger, Killer Frost, Captain Boomerang, Harley Quinn and Copperhead, which is quite a bit different than what we were treated to in the live-action Suicide Squad movie. Task Force X isn't the only group of villains seeking to get their hands on this mysterious, mystical object though. The race is on for the golden prize and, in order to stay alive, second place isn't an option. They had better hope that RV has some power. Sam Liu, who previously directed Gotham by Gaslight and Teen Titans: The Judas Contract}, is at the helm for this DC animated feature. The script comes from co-producer Alan Burnett (Justice League vs. Teen Titans). Suicide Squad: Hell to Pay is executive produced by Sam Register and James Tucker (Justice League Dark). 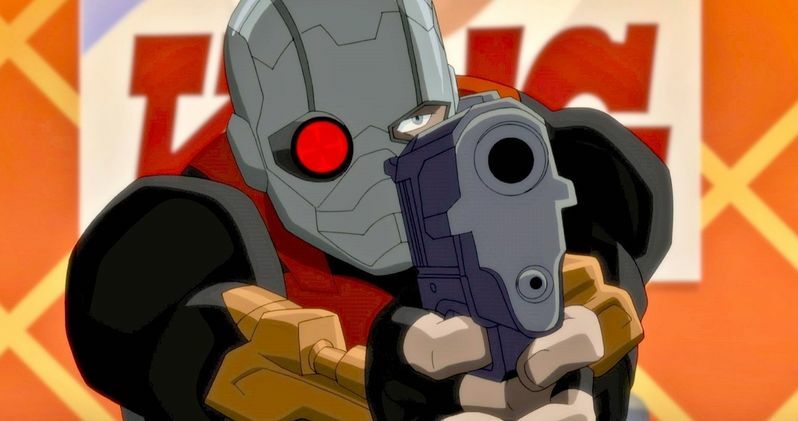 In addition to Christian Slater and Tara Strong, the voice cast also includes Billy Brown (Bronze Tiger), Liam McIntyre (Captain Boomerang), Kristin Bauer van Straten (Killer Frost), Gideon Emery (Copperhead), Vanessa Williams (Amanda Waller), C. Thomas Howell (Zoom), Dania Ramirez (Scandal Savage), James Urbaniak (Professor Pyg), Jim Pirri (Vandal Savage), Julie Nathanson (Silver Banshee), Greg Grunberg (Maxum Steel), Cissy Jones (Knockout), Dave Fennoy (Tobias Whale), Natalie Lander (Darma), Dave Boat (Harvey Dent/Two-Face), Trevor Devall (Punch) and Matthew Mercer (Savage Gunman). Warner Bros. has done a great job with the DC animated movies over the years. So, if Suicide Squad didn't quite do it for you, this may be right up your alley. It will also help fill the void until Suicide Squad 2 actually gets going. Be sure to check out the new Suicide Squad: Hell to Pay clip, courtesy of the Warner Bros. Home Entertainment YouTube channel, for yourself below.